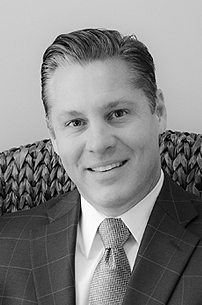 Mr. Burnett is the founder and owner of St. Johns Law Group. Serving as Managing Partner, Mr. Burnett manages the day-to-day operations of the firm and is available to all clients as a resource to support the other attorneys in the firm. Mr. Burnett balances those responsibilities while maintaining an active real estate and development law practice. Local government law, including serving as general counsel for the St. Augustine St. Johns County Airport Authority and the City of St. Augustine Beach, Florida. Mr. Burnett’s practice also includes real estate development, real property and construction litigation, land use planning, comprehensive planning and concurrency, development agreements, financing and transactional matters. Mr. Burnett has represented all participants in the real estate development business including landowners, developers, contractors, lenders and brokers. His experience includes management of sensitive and controversial applications for development approval. Mr. Burnett has also handled litigation of contested zoning matters before the trial and Appellate Courts. Former Assistant County Attorney in St. Johns County, Florida. Former Assistant State Attorney in St. Johns County, Florida. Former Shareholder at Rogers Towers, P.A. Regularly serves as outside counsel to local governments. Represents numerous landowners and developers in negotiating with local government to obtain Development Agreements and Impact Fee Credit Agreements. Represents landowners and developers seeking amendments to the Comprehensive Plan and vesting under the Comprehensive Plan. Successful plat and street vacations. Extensive trial experience, including over thirty jury trials and non-jury trials, as well as mediation and arbitration. Representation of owners, general contractors, subcontractors, and design professionals in disputes and litigation involving both commercial and residential contract and construction claims.